As opposed to the traditional supervised learning setting where the labeled training data is generated (we hope) independently and identically, in active learning the learner is allowed to select points for which labels are requested. Because it is often impossible to construct the equivalent real-world object from its feature values, almost universally, active learning is pool-based. That is we start with a large pool of unlabeled data and the learner (usually sequentially) picks the objects from the pool for which the labels are requested. One unavoidable effect of active learning is that we end up with a biased training data set. If the true data distribution is , we have data drawn from some distribution (as always is the feature vector and is the class label). We would like to correct for this bias so it does not lead to learning an incorrect classifier. 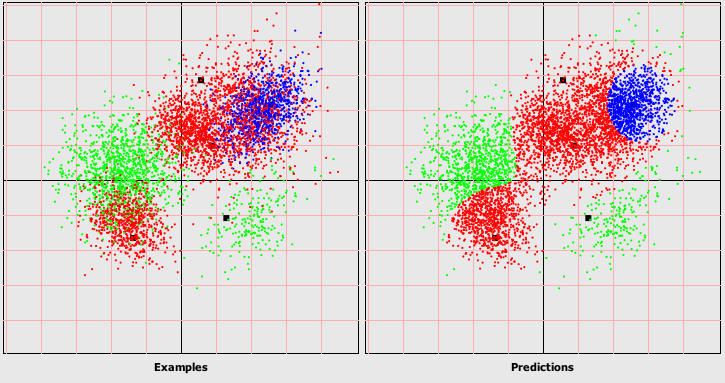 And furthermore we want to use this biased data set to accurately evaluate the classifier. In general since is unknown, if is arbitrarily different from it there is nothing that can be done. However, thankfully, the bias caused by active learning is more tame. 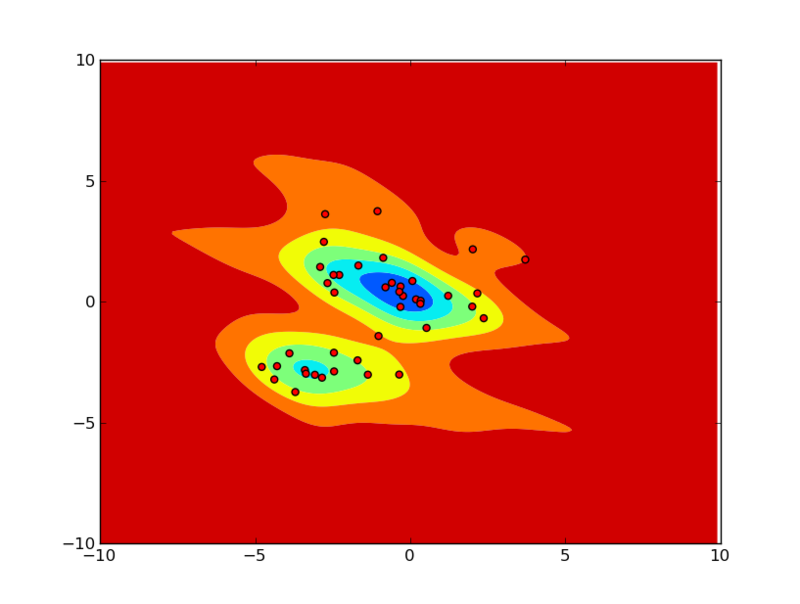 Assume that marginal feature distribution of the labeled points after active learning is given by . 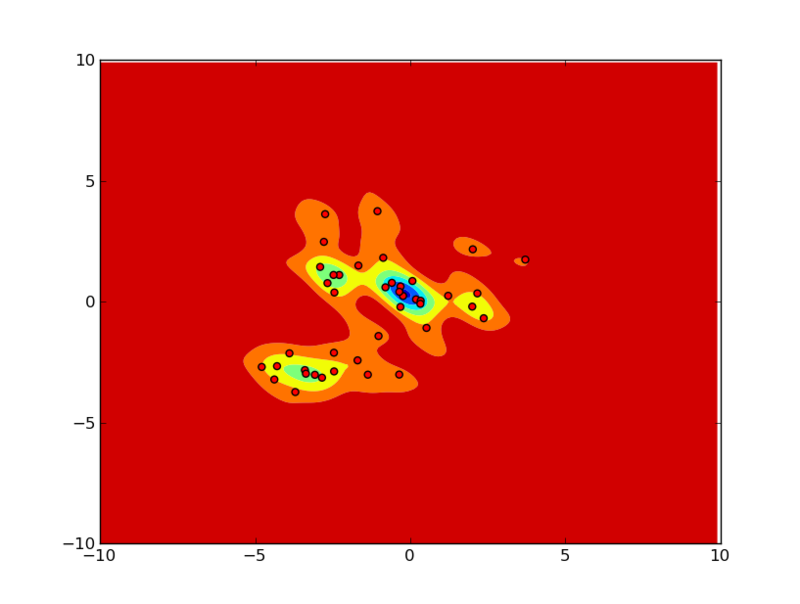 Therefore is the putative distribution from which we can assume the feature vectors with labels have been sampled from. For every feature vector thus sampled from we request its label from the oracle which returns a label according to the conditional distribution . That is there is no bias in the conditional distribution. Therefore . This type of bias has been called covariate shift. Let us define . If is large we expect the feature vector to be under-represented in the labeled data set and if it is small it is over-represented. Now define for each labeled example for . If we knew the values of we can correct for the bias during training and evaluation. This paper by Huang et. al., and some of its references deal with the estimation of . Remark: This estimation needs take into account that . This implies that the sample mean of the beta values on the labeled data set should be somewhere close to unity. This constraint is explicitly imposed in the estimation method of Huang et. al. We shall first look at bias-correction for evaluation. 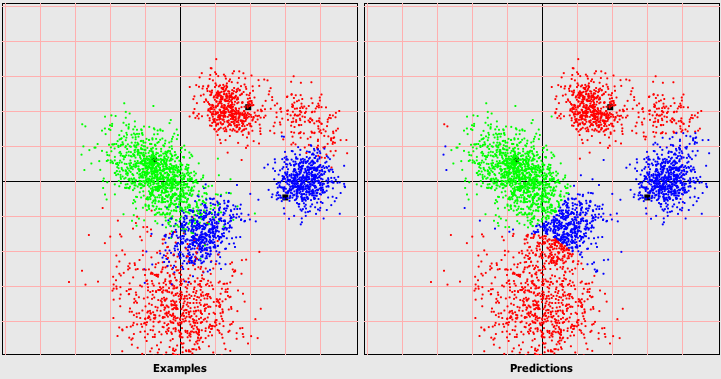 Imagine that we are handed a classifier , and we are asked to use the biased labeled data set to evaluate its accuracy. Also assume that we used the above method to estimate . Now fixing the bias for evaluation boils down to just using a weighted average of the errors, where the weights are given by . If the empirical loss on the biased sample is written as , we write the estimate of the loss on the true distribution as the weighted loss . Therefore we increase the contribution of the under-represented examples, and decrease that of the over-represented examples, to the overall loss. How can the bias be accounted for during learning? The straightforward way is to learn the classifier parameters to minimize the weighted loss (plus some regularization term) as opposed to the un-weighted empirical loss on the labeled data set. However, a natural question that can be raised is whether any bias correction is necessary. 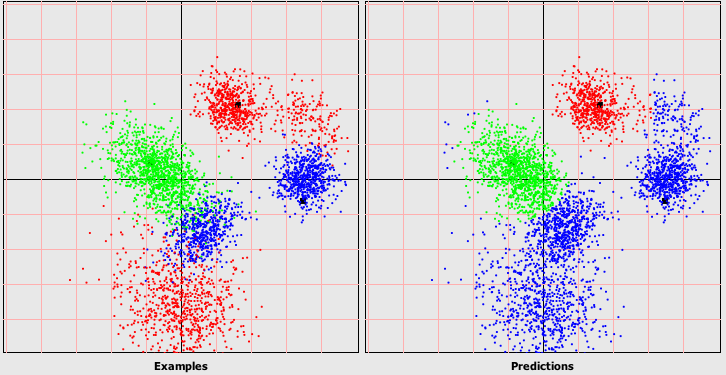 Note that the posterior class distribution is unbiased in the labeled sample. This means that any Bayes-consistent diagnostic classifier on will still converge to the Bayes error rate with examples drawn from . For example imagine constructing a -Nearest Neighbor classifier on the biased labeled dataset. 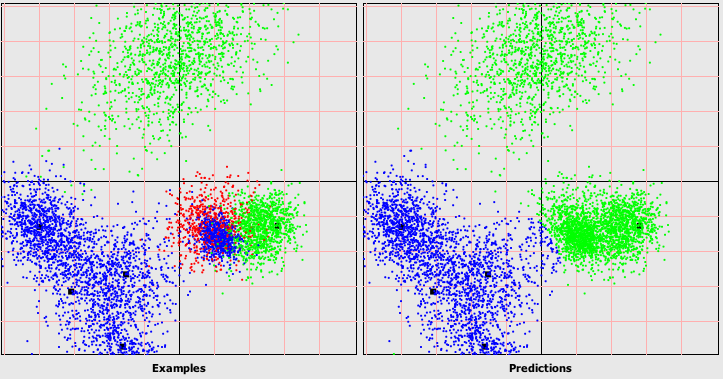 If we let and , the classifier will converge to the Bayes-optimal classifier as , even if is biased. This is somewhat paradoxical and can be explained by looking at the case of finite . 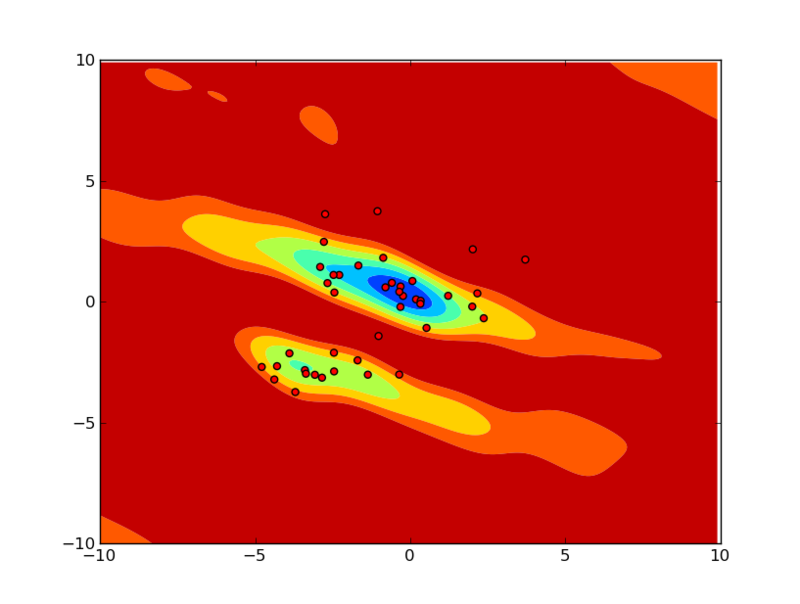 For finite , the classifier trades off proportionally more errors in low density regions for fewer overall errors. This means that by correcting for the bias by optimizing the weighted loss, we can obtain a lower error rate. 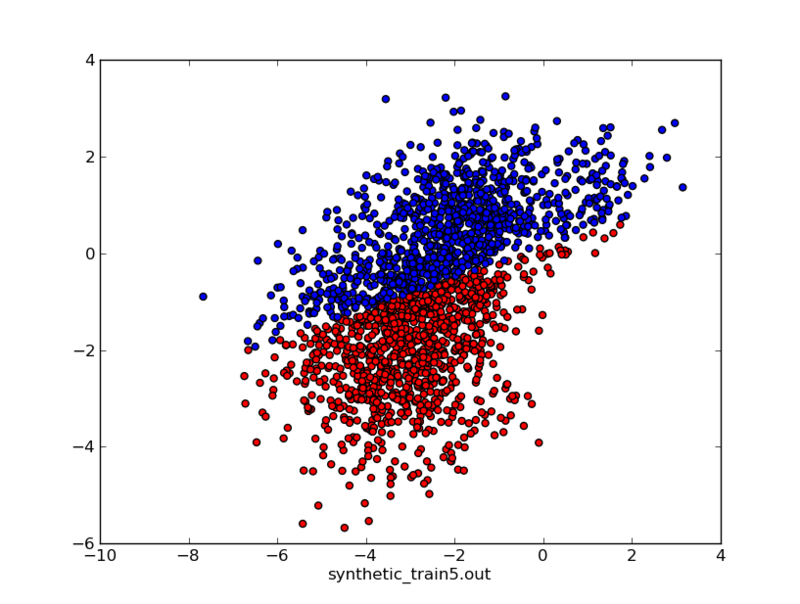 Therefore although both the bias-corrected and un-corrected classifiers converge to the Bayes error, the former converges faster. I will present a sparse kernelization of logistic regression where the prototypes are not necessarily from the training data. Fitting the model to a data set involves estimating the betas to maximize the likelihood of . where is a kernel function. In order to be able to use this classifier at run-time we have to store all the training feature vectors as part of the model because we need to compute the kernel value of the test example to every one of them. This would be highly inefficient, not to mention the severe over-fitting of the model to the training data. The solution to both the test time efficiency and the over-fitting problems is to enforce sparsity. That is we somehow make sure that for all but a few examples from the training data. The import vector machine does this by greedily picking some examples so that the reduced example model best approximates the full model. where the feature vectors are from the training data set. We can see that all we are doing is a vanilla logistic regression on a transformed feature space. The original dimensional feature vector has been transformed into an dimensional vector, where each dimension measures the kernel value of our test example to a prototype vector (or reference vector) . 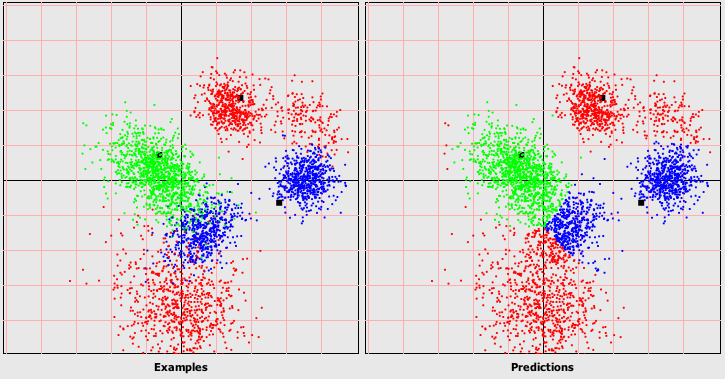 What happens if we just selected these prototypes randomly instead of greedily as in the import vector machine? Avrim Blum showed that if the training data distribution is such that the two classes can be linearly separated with a margin in the feature space induced by kernel function, then the classes can be, with high probability, linearly separated with margin with low error, in the transformed feature space if we pick a sufficient number of prototypes randomly. That’s a mouthful, but basically we can use Blum’s method for kernelizing logistic regression as follows. 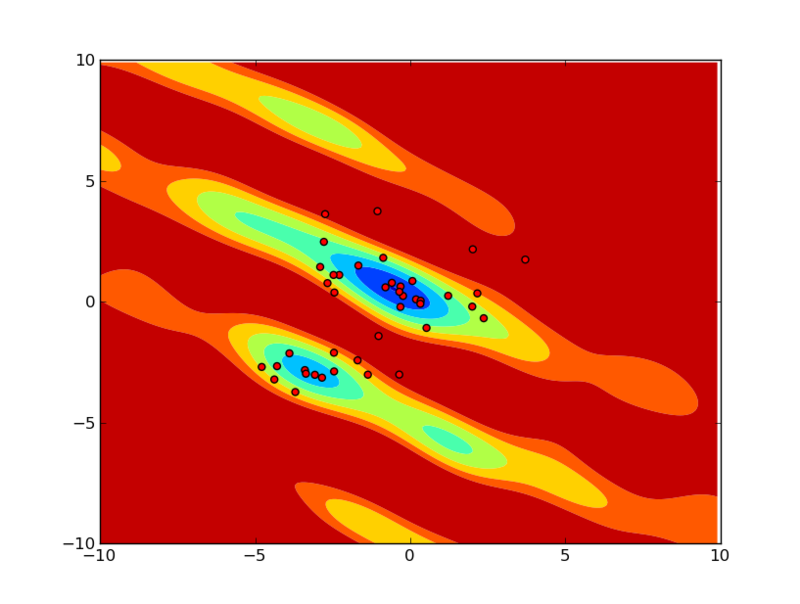 Just pick random vectors from your dataset (in fact they need not be labeled), compute the kernel value of an example to these points and use these as features to describe the example. We can then learn a straightforward logistic regression model on this dimensional feature space. As Blum notes, need not even be a valid kernel for using this method. Any reasonable similarity function would work, except the above theoretical guarantee doesn’t hold. A key point to note is that there is no reason for the prototypes to be part of the training data. Any reasonable reference points in the original feature space would work. We just need to pick them so as to enable the resulting classifier to separate the classes well. Because of obvious symmetries, the log-likelihood function is non-convex with respect to the reference vectors, but the local optima close to the randomly selected reference points are no worse than than the random reference points themselves. Let us derive the gradient of the log-likelihood function with respect to a reference vector. First let us denote , i.e., the kernel value of the feature vector with the prototype by . That’s it. We can update all the reference vectors in the direction given by the above gradient by an amount that is controlled by the learning rate. 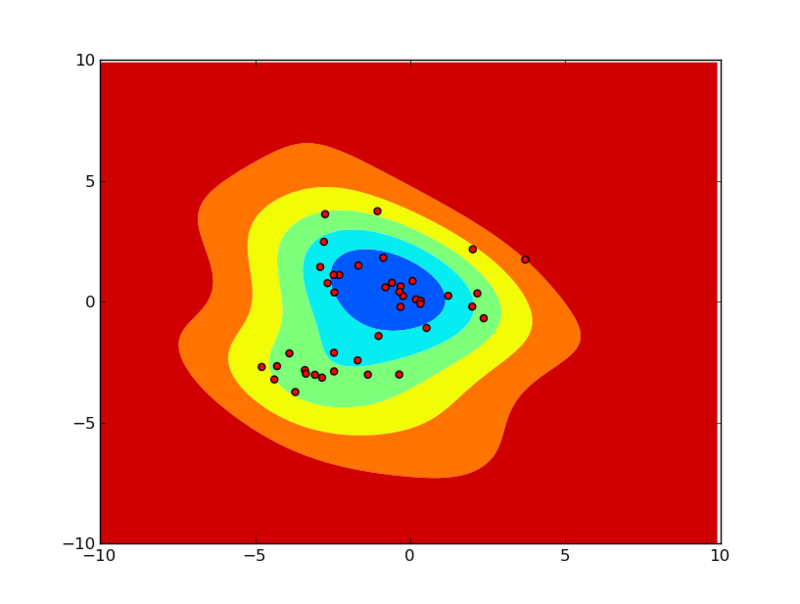 which is very similar to the gradient of with respect to parameter. This is reasonable because with a linear kernel we are essentially learning a logistic regression classifier on the original feature space, where takes the place of . The optimization of the reference vectors can be done in an online fashion by stochastic gradient descent ala Bob Carpenter. Is it better to update all the parameters of the model (betas, reference vectors, kernel parameters) at the same time or wait for one set (say the betas) to converge before updating the next set (reference vectors)? 1. 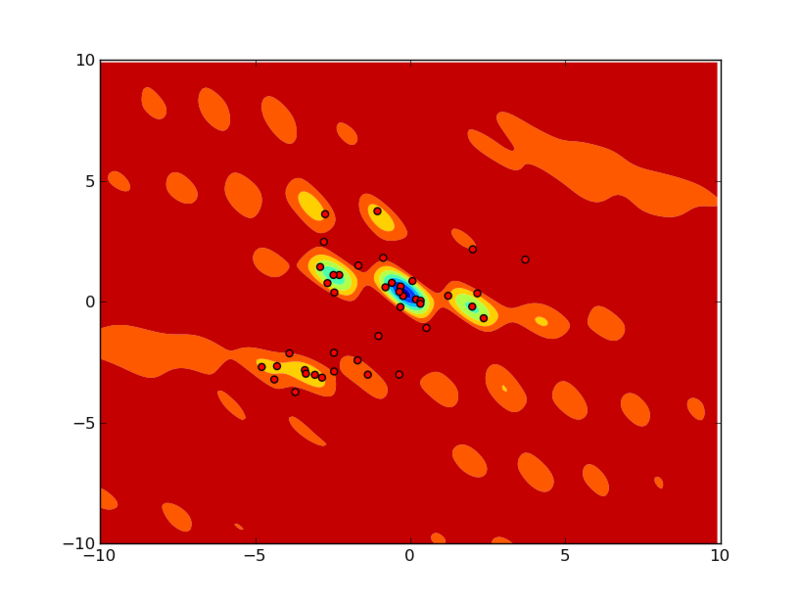 Since conditional random fields are just generalized logistic regression classifiers, we can use the same approach to kernelize them. Even if the all the features are binary, the reference vectors can be allowed to be continuous. 2. My colleague Ken Williams suggests keeping the model small by sparsifying the reference vectors themselves. The reference vectors can be encouraged to be sparse by imposing a Laplacian L1 prior. 3. 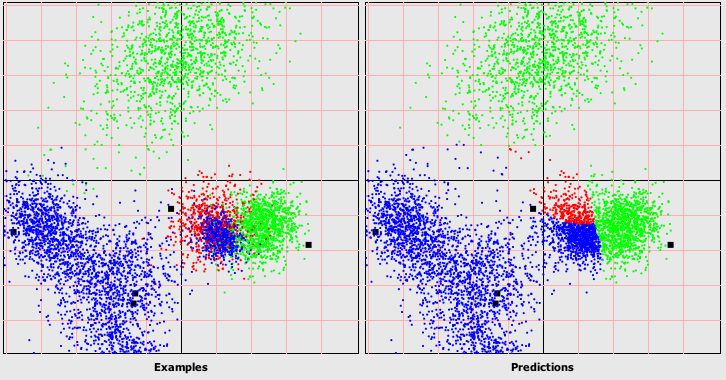 The complexity of the resulting classifier can be controlled by the choice of the kernel and the number of reference vectors. I don’t have a good intuition about the effect of the two choices. 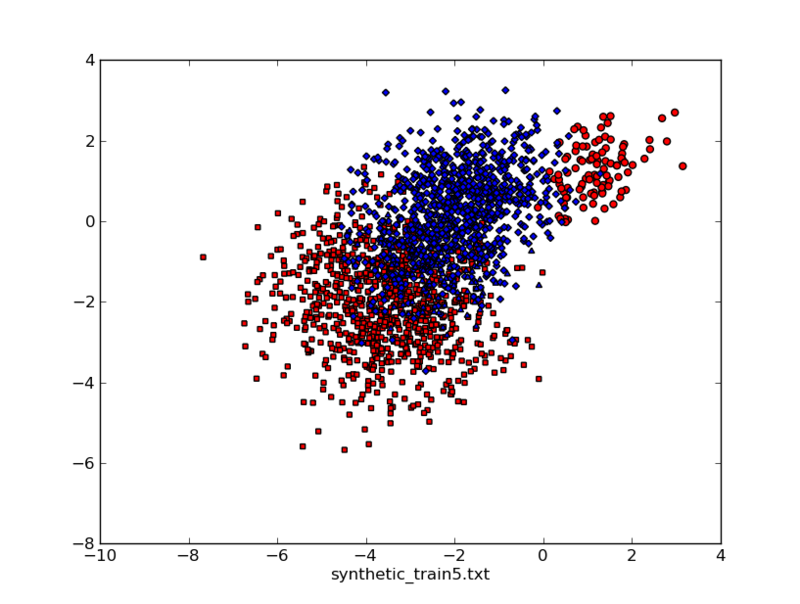 For a linear kernel it seems obvious that any number of reference points should lead to the same classifier. What happens with a fixed degree polynomial kernel as the number of reference points increases? 4. Since the reference points can be moved around in the feature space, it seems extravagant to learn the betas as well. What happens when we fix the betas to random values uniformly distributed in [-1,1] and just learn the reference vectors? For what kernels do we obtain the same model as if we learned the betas as well? 5. 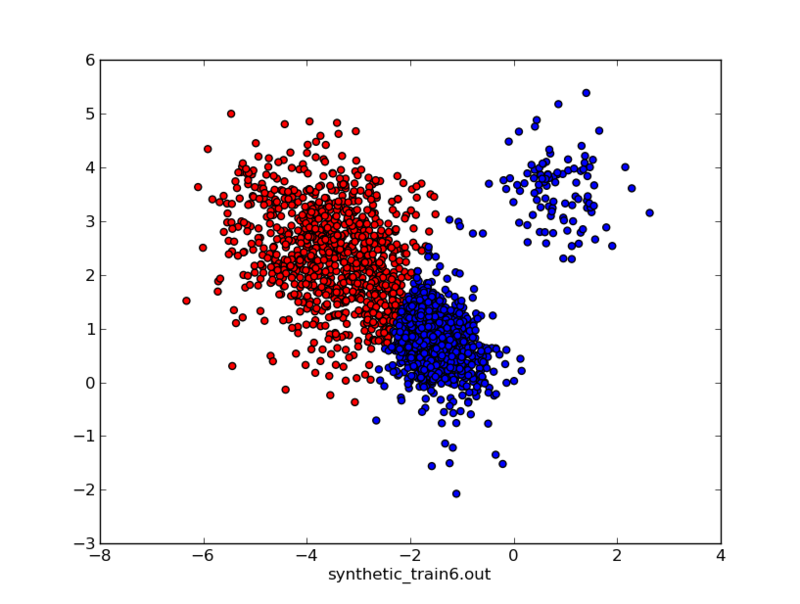 I wonder if a similar thing can be done for support vector machines where a user specifies the kernel and the number of support vectors and the learning algorithm picks the required number of support vectors (not necessarily from the data set) such that the margin (on the training data) is maximized. 6. Ken pointed me to Archetypes, which is another related idea. In archetypal analysis the problem is to find a specified number of archetypes (reference vectors) such that all the points the data set can be as closely approximated by convex sums of the archetypes as possible. Does not directly relate to classification. Here’s an estimation problem that I ran into not long ago while working on a problem in entity co-reference resolution in natural language documents. Let be a random variable taking on values in . We are given data , where is the sum of independent draws of for . We are required to estimate the distribution of from . For some distributions of we can use the method-of-moments. For example if , we know that the mean of is . We can therefore estimate as the sample mean, i.e., . Because of the nice additive property of the parameters for sums of i.i.d. poisson random variables, the maximum likelihood estimate also turns out be the same as . The problem becomes more difficult when is say a six-sided die (i.e., the sample space is ) and we would like to estimate the probability of the faces . How can one obtain the maximum likelihood estimate in such a case?